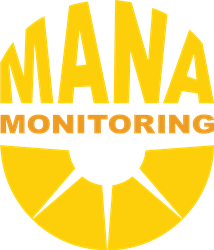 Mana Monitoring provides energy monitoring and reporting services for hundreds of sites nationwide. Energy efficiency is at the forefront of cost-based decisions and mandated RPS across the nation, and solar PV installations are being added at an exponential rate. We’re seeing huge opportunities to apply sustainability and renewable-energy management in the private, public, and government sectors. Mana Monitoring helps energy professionals in the commercial, government, and non-profit sectors attain their renewable-energy objectives. The Mana Monitoring’s Solar Aggregator Software is a single-source monitoring aggregator and asset management platform that is flexible, scalable, and compatible with a wide range of solar PV and other renewable energy sources. For commercial property owners/managers and entities that manage a group of buildings/facilities, Mana Monitoring’s Energy Aggregator Platform provides a real-time energy dashboard and reporting platform designed for non-technical users. For O&M/installer companies, PPA owners/asset managers, and energy utilities, Mana Monitoring provides comprehensive monitoring and reporting services to ensure their renewable-energy assets are operating at peak performance. Headquartered in Lahaina, Maui, Mana Monitoring is privately held. For more information, visit http://www.manamonitoring.com.